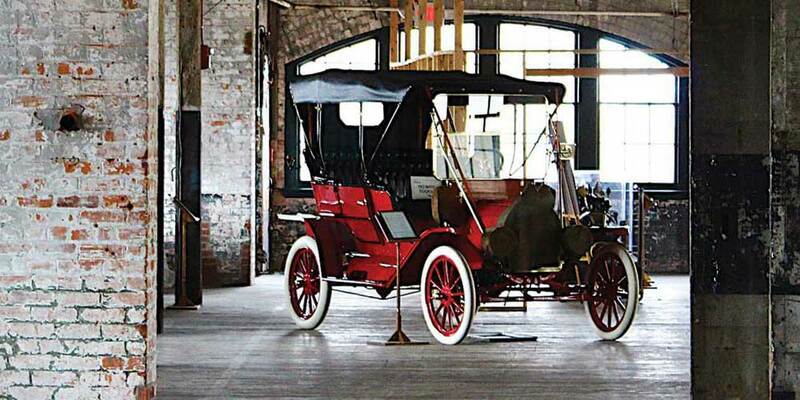 Twenty years ago, Congress and the National Park Service recognized the significance of the American automobile and the people and places that shaped its history by creating the MotorCities National Heritage Area Partnership. Throughout a region of 10,000 square miles in 16 Michigan counties with a population of more than six million people, we tell the stories of how this area put the world on wheels. These stories are our stories: the stories of a region where people grew up with the automobile; where its heritage lives in our neighborhoods to this day; and where an industry begun by a few hundred changed the world for millions. For a complete history, please click here. 1996 American automobile industry celebrates its centennial anniversary and a coalition rallies for designation of various automotive heritage landmarks. 1997 Feasibility study conducted by Wayne Counts Parks and Rec for National Park Service Heritage Area consideration. 2001 The General Management Plan is submitted to the Secretary of the Interior and the boundaries of the National Heritage Area are drawn. 2002-2018 Implementation of the General Management Plan and its mission ”to preserve, interpret and promote the automotive and labor heritage of Michigan by encouraging revitalization through conservation, increasing auto-related tourism, and developing and deploying educational and informational programs”. Number of grants awarded: 295. Investments in programs: $1.1 million.